SPIEGEL speaks with NATO Secretary General Jens Stoltenberg about the alliance's response to Russian aggression, the growth of member state defense spending and whether Turkey still shares the organization's values. SPIEGEL: Mr. Secretary General, three former high-ranking NATO generals have sharply criticized the alliance's Russia policy. They wrote that NATO has "too often acted like a homeowner who sets the alarm once the burglars have left." What is your answer to that criticism? Stoltenberg: NATO is the most successful alliance in history. Thus far, we have prevented war through a combination of strong defense and deterrence. Now we are positioning ourselves to address the challenge presented by an increasingly confident Russia. We have enhanced our presence in the eastern part of the alliance to a greater degree than any time since the Cold War and sent a strong message to potential adversaries. SPIEGEL: This enhancement is exactly what the generals are criticizing. They say it isn't credible because NATO has sent too few soldiers to the Baltic States and that Russia is in a position to block or impede reinforcements any time it wants. Stoltenberg: Our exercises have demonstrated the opposite to be true. 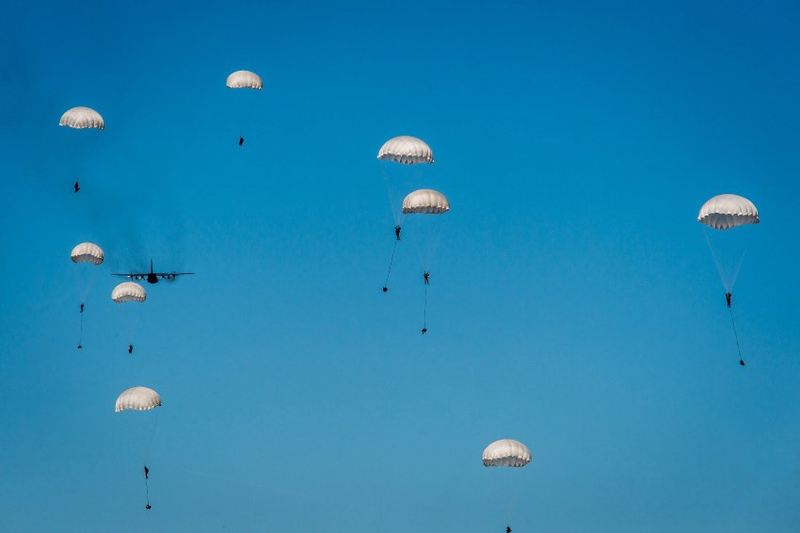 We have just successfully completed the Brilliant Jump maneuver and transferred a Spanish brigade to Poland where it participated in a mission with units from Germany, Great Britain and many other countries. SPIEGEL: Maneuvers are one thing, but reality is often quite another. Estonian Prime Minister Taavi Roivas has demanded that NATO troops be permanently stationed in his country. Stoltenberg: We have developed detailed plans combining several elements for the defense of our Eastern European partners. At the NATO summit at the beginning of July in Warsaw, we will determine how to credibly defend ourselves in the future as well. Our planning staff has proposed sending battalion-sized units to various countries in the eastern part of the alliance which could be quickly reinforced in an emergency. We will improve our infrastructure and position materiel and reinforcements in the region. We have already opened eight small headquarters in the eastern part of the alliance area and the NATO rapid reaction force has been tripled in size, to 40,000 troops. SPIEGEL: NATO has been careful about sending more troops into its eastern member states because it wants to remain in compliance with the NATO-Russia Founding Act on Mutual Relations. When it signed this agreement, NATO wanted to create a new foundation for the relationship between Russia and the West. Will that agreement be sacrosanct forever? Stoltenberg: We comply with our international obligations and with the NATO Russia Founding Act. Our stronger presence in the east in the form of rotating troops, combined with the ability to bring in reinforcements in the case of a serious incident, is the right, balanced mixture and is in keeping with the counsel of our military planners. We can deploy NATO soldiers from Germany, Spain or Norway all over the world on extremely short notice, including to the Baltics. And don't forget one thing: We are no longer in the Cold War. Back then, there were hundreds of thousands of soldiers permanently stationed at NATO's borders. Today, the decisive factor is rapid deployability. SPIEGEL: Are we understanding you correctly: The NATO-Russia Founding Act will not be touched? Stoltenberg: It specifies that there will be no stationing of substantial combat units in the eastern areas of the alliance. Our plans are below this threshold in every way, regardless how one interprets this agreement. SPIEGEL: And if the security situation changes? Stoltenberg: As Secretary General of NATO, there is a limit to the number of hypothetical questions that one can answer. Anything else creates confusion. But I would like to say one more thing on the subject of Russia. Stoltenberg: Our answer to the new security situation, precipitated by a more aggressive Russia, is defensive and it is proportionate. We have made it clear that we do not want any confrontations. We don't want a new Cold War. We are working to establish a more constructive relationship with Moscow. SPIEGEL: How do you intend to establish one? Stoltenberg: By continuing to seek a dialogue with Russia, and to strive for more transparency and predictability. The danger of an incident taking place has grown with the increased Russian military presence on our borders. Just take, for example, the Russian fighter jet that was shot down at the Turkish border or the risky flight maneuvers by Russian warplanes over the Baltic Sea. We should try to prevent these kinds of incidents if possible and when they do take place, make sure that they don't spin out of control. SPIEGEL: The alliance faces the challenge of having 28 member states that need to agree. In Russia, only one person makes the decisions: Vladimir Putin. Stoltenberg: When it's necessary, we can also make decisions very quickly. Think about our mission in the Aegean, which the Germans pushed for. We made the decision in a few days and our ships were on site within 48 hours. It is a strength, not a weakness, that NATO is an alliance of 28 open, transparent and democratic societies. History shows that democracies have forged the strongest military alliance that has ever existed. Stoltenberg: People have different views in democracies. For me, as NATO secretary general, it is important that the alliance has shown that it makes decisions that can then be implemented. SPIEGEL: Independently of what the people think? Stoltenberg: In democracies, of course, you are dependent on the support of the citizens, because parliaments and governments need to be elected. But if you look at the past seven decades, we were always able to adapt to new challenges, and that is a product of democratic decision-making. SPIEGEL: We agree that Putin's autocracy shouldn't be a role model. But militarily, he has repeatedly been able to take the West by surprise in the past few years. Stoltenberg: In the end, democratic societies are stronger and more resilient than any autocracy. And more adaptable too. We have reacted to the changed security situation very quickly, after all, and our collective defense efforts have become more robust. That is a fundamental change. SPIEGEL: For years, NATO member states have repeatedly pledged to invest 2 percent of their gross domestic products into their defense budgets. But they aren't following through. Stoltenberg: There too we are seeing a shift. Last year, the trend of shrinking defense spending came to a halt after many long years. The forecasts for 2016 indicate that we will once again see increased defense spending among European NATO allies for the first time. The situation is still mixed, but things are improving. SPIEGEL: It isn't just Russian troops that are seen as a threat, primarily by Eastern European allies. Western intelligence services also believe that Moscow is behind some cyber-attacks. Has NATO underestimated this threat? Stoltenberg: No, we have strengthened our capabilities in order to protect our own NATO networks. We have also strengthened collaboration among allies, because they must first protect their own networks. We have established teams of experts that can help member states when they are attacked. And we have made a very important decision: A cyber-attack can be considered an armed attack according to Article 5 of the North Atlantic Treaty and thus trigger the collective defense clause. SPIEGEL: What response does the alliance have to the information war that Moscow is leading against the West? Stoltenberg: We are, indeed, registering a lot of propaganda, but our reaction to propaganda cannot also be propaganda. Stoltenberg: The truth. In the end it will prevail. I am 100 percent convinced that an open society like that of Germany will ultimately be able to push facts through against the propaganda. It may be that opinion polls show a mixed picture, but at the same time, approval for NATO is growing. It means we must be doing something right. SPIEGEL: You have pointed out several times that NATO is an alliance of 28 democracies. One important member state is Turkey. Does it fit into the picture? Stoltenberg: NATO is based on shared values. Democracy, individual civil liberties and the rule of law. In public and also in meetings with the allies, I have repeatedly pointed out how crucial these common values are. They are the basis for our unity, and unity is the most important basis for our strength. SPIEGEL: Does the Erdogan regime in Turkey fulfill these requirements? Stoltenberg: These values are fundamental to NATO, and they are also very important for me. And in various meetings with the allies, I repeatedly point to them. SPIEGEL: That is an extremely diplomatic answer. Stoltenberg: (laughs) In my position, I also see myself as a diplomat. SPIEGEL: You have promised predictability and transparency. Those are two things don't seem to be very important to your NATO ally, Turkey. Stoltenberg: They apply to all allies, and Turkey is part of our effort to improve our diplomatic dialogue with Russia. SPIEGEL: Russia's intervention in Syria clearly took the West by surprise. Did NATO underestimate Moscow's military capabilities? Stoltenberg: We are living in a world in which developments are harder to predict and one that has become more uncertain. In such a world, you must be prepared for the unpredictable. Nobody predicted the fall of the Berlin Wall or the Arab Spring. SPIEGEL: What does that mean for NATO? Stoltenberg: That we need new capabilities. Enhancing our armed forces, more reconnaissance, more surveillance. We will soon be stationing new, state-of-the-art surveillance drones in Sicily. SPIEGEL: In order to monitor the streams of refugees from Libya? Stoltenberg: That depends on where the drones will be needed. When it comes to Libya: We have offered the new government help if it wants it. I've spoken with the Libyan prime minister. He wants to send a team of experts to Brussels and then we will see how Libya can be helped. SPIEGEL: Is that NATO's new line? No more deployments of its own, only helping other countries? Stoltenberg: We must also be in a position to make troops available in the future, as we did in the Balkans and Afghanistan. But at the same time, the focus will increasingly be on putting local troops in a position to ensure stability in their countries. We are working together with Iraq to train Iraqi troops in the fight against terror. In Afghanistan we have ended our combat deployment after 12 years, but we still have 12,000 NATO soldiers stationed there. Now we are tasked with helping the Afghans ensure their own security. In the long term, that makes more sense. SPIEGEL: Mr. Secretary General, thank you for this interview.